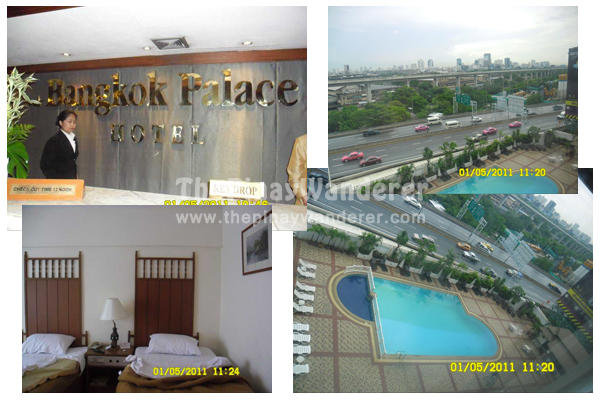 In Bangkok, we stayed at the Bangkok Palace Hotel, a palace but not so grand a palace…hehe! Since it was a delayed flight, we were not able to go around the city on our first day. We were only able to go to the MBK mall, one of the shopping centers in Bangkok. After some time roaming around the mall, we had our dinner at Sumo & Cocco Pazzo Restaurant, a restaurant that serves various Asian dishes. 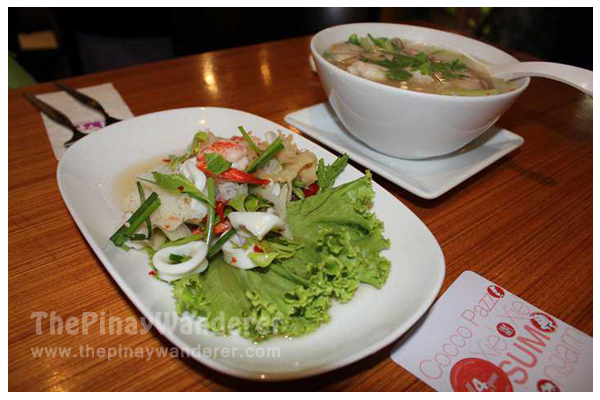 And since it was our chance to have a taste of Thailand, of course we chose Thai dishes. We ordered yam ruam mit talay, guay-tiew tom yam, khao klug kapi & another seafood main course for my friend (I forgot what it's called) . Of all the foods we ordered, I particularly liked the seafood salad (yam ruam mit talay), it’s a little bit spicy but I love the taste of the salad dressing they used, a sweet-sour dressing with a distinct flavor of coriander blended with some other authentic Thai spices (this according to the menu, whatever that is, hehe!). The soup (guay-tiew tom yam), a seafood soup with fish fillet and noodles (the one usually used in lasagna, if I am not mistaken), was also good and a bit spicy too. For my main course, I had the khao klug kapi, a food combo of fried rice, sausage, pork & egg. 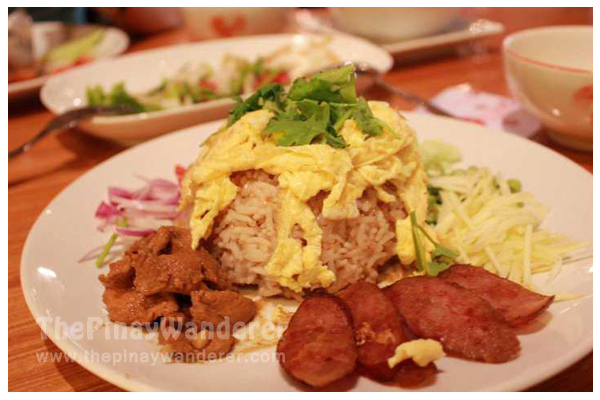 The fried rice is like our ‘bagoong’ rice, the pork like our adobo, Thai-style...hehe. It's already late when we finished our dinner so we just head back to the hotel. On our way there, we rode the ‘tuk-tuk’, Bangkok’s famous mode of transportation. ‘Tuk-tuk’ is like our tricycle here in the Philippines, only bigger and I think more powerful, because they are so fast it felt like we’re in a race and flying (hehe…I was just exaggerating here but really they’re so fast and the driver seemed oblivious of other much bigger vehicles around, it really was scary!). Be forewarned though, Bangkok cabs and ‘tuk-tuk’ drivers charged so much (cab drivers don’t usually use their taxi meter) you have to haggle first before you get in. Otherwise, be ready to spend a hefty amount for the fare. Or else, you'll end up having an argument with the driver, something you wouldn't want to happen while on a foreign land. tas yung foos hahha yummy. sayang repost lang pero oks lang sulit naman ang pagbabasa ko.. The food looks yummy pero puro spicy..thai food nga e, haha! I'll be watching out for your next posts, more shopping ka ba?? Hi Joanne! Masarap talaga mga food na 'to, promise... Yun eh kung mahilig ka sa spicy foods, hehe. Medyo matagal pa yun isang trip ko, tamad pa ko, hehe! Pa Bangkok, Bangkok na lang ah! Maanghang ba yang tom yam? Coz I tried Tom Yam soup sa SG eh napaka anghang naman, pero masarap! 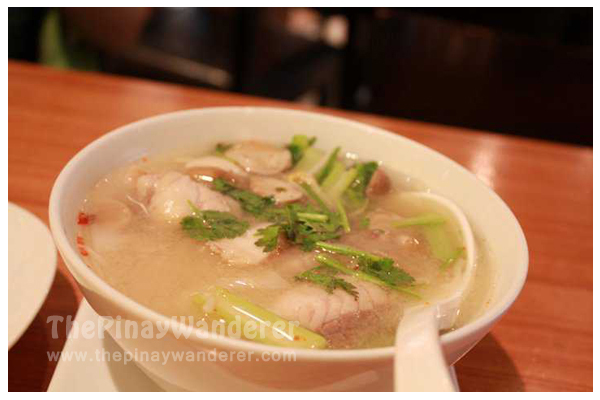 Tulo pawis sa anghang at sarap... More of Bangkok please! parang Pinas din pala no, daming mahilig magsamantala lalo na sa mga fares, salamat sa warning! 10 years ago na yata ang nakalilipas nung nag bangkok kami. May mga salbahe talagang tuktuk driver. Kami naman yung taxi na nasakyan namin napansin namin pinaikot ikot kami para lumaki yung babayaran namin. Ingat lang talaga kahit saan may manloloko. Would love to go back sa thailand sana sa Phuket this time. Wow, pumunta ka pala ng Bangkok. I stayed there for 4 years.. I love Thailand.hehhehe....ang mahirap sa Thailand lalo na tuktuk ang sakyan mo ay kung di ka marunong mag thai...yong ang una kung problem..I learned to speak thai yong language nila at naging easy na lahat. parang gusto ko makasakay sa sasakyan na iyan....kakaiba..
Show me around Thailand pls! I would love to visit and see more of this country, such a dream. 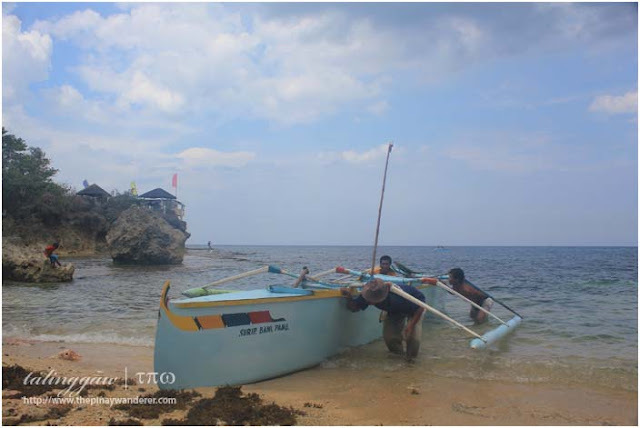 Mas mura daw kasi at mas safe, plus the beaches magaganda din. 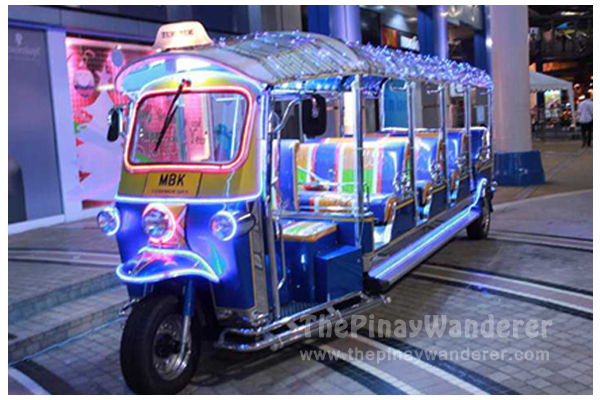 Yung tuk tuk mukhang delikado yata tingin ko di pwede pangmalayuan ang biyahe anliit ng build at wheels tas papaharurot pa sila naku po. Dropping by again! Ayan nagkaka ayaan na pumunta kami sa phuket. Sana lang may deal. Kaya lang diba dun nagka tsunami? hala ayan bigla daw natakot!hehe!